Philip Jenkins, The New Faces of Christianity: Reading the Bible in the Global South (Oxford: Oxford University Press, 2006). x + 252 pages, ISBN 0195300653. 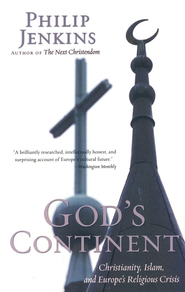 Philip Jenkins, God’s Continent: Christianity, Islam, and Europe’s Religious Crisis (Oxford: Oxford University Press, 2007). ix + 340 pages, ISBN 0195313956. 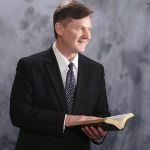 The two books under review are part of what Jenkins calls “The Future of Christianity Trilogy,” which was begun with his The Next Christendom: The Coming of Global Christianity (Oxford University Press, 2002, with second expanded edition published in 2007). 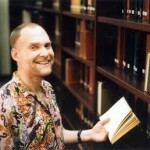 (For more on Jenkins’ overall project, see also the periodical review of his “Companions of Life: A Supple Faith” by Tony Richie in The Pneuma Review 10:3 [Summer 2007].) 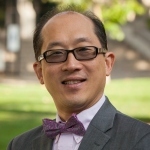 Between them, Jenkins extends the analysis of his initial volume, first by focusing on Bible-reading trends in especially Asia and Africa (although Latin America is not entirely absent), and then by exploring emerging trajectories of Christian-Muslim relations in the European continent. Together, these latter two books provide a kind of template for anticipating future global developments, although our author is much too nuanced and sophisticated in his prognostications for alarmists on any side, even as he is too riveting in his narration for those who might be otherwise complacent about the present and future of Christianity in its global contexts. 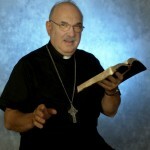 For example, Pneuma Review readers might almost be able to read New Faces of Christianity as an updated response to the questions posed in 1994 by Harvey Cox in his book Fire from Heaven: The Rise of Pentecostal Spirituality and the Reshaping of Religion in the Twenty-first Century (Addison-Wesley). There, Cox wondered if world pentecostalism would continue wedded to fundamentalism or if it might expand in other (especially more socially progressive) directions. 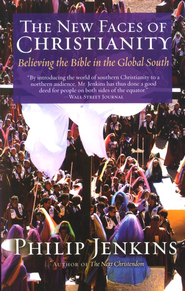 Jenkins’ New Faces also begins with the question (the title of chapter 1), “Shall the fundamentalists win?” The rest of the volume provides a spectrum of responses to this query by discussing how southern Christians read and use the Bible, both Old and New Testaments, amidst existentially experienced realities like poverty, sickness, persecution and martyrdom, witchcraft practices, gender roles developments, economic crises, political turbulence, and other issues. And the verdict remains out: southern Christians are both more fundamentalist and less fundamentalist than anticipated, although in different (and perhaps surprising) respects.